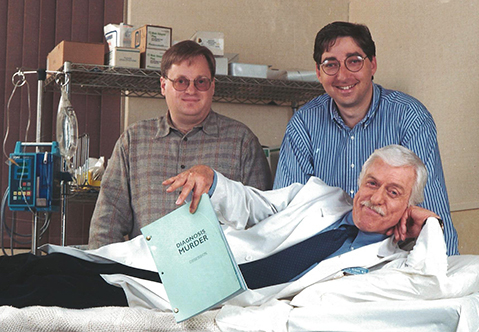 “Diagnosis Murder” has been a big and meaningful part of both my TV and publishing career. My screenwriting partner William Rabkin and I began working on the show in its second season as a freelance writers. We were hired by the new executive producer Michael Gleason, who had given us our first staff jobs in television on the short-lived detective series “Murphy’s Law” starring George Segal and who was our mentor in the business. When “SeaQuest” was cancelled, we were hired as the supervising producers for the fourth season of “Diagnosis Murders” and we quickly fell in love with the show. It was a natural fit for us. We wrote a lot of episodes… original scripts and extensive rewrites of the freelance scripts that came in. The highlight of that season for us was bringing back Mike Connors as “Mannix” in what became, at that point, the highest rated, and most talked-about, episode in the series’ history. The network took notice. Come season five, Bill and I became the new executive producers and principal writers of the show…and we stayed through the end of season six. We got a lot of attention during seasons five and six for our hugely popular “stunt casting” episodes. For example, we brought back Fred Dryer, Angie Dickinson, Kent McCord, Martin Milner and James Darren as cops in one episode, and Robert Vaughn, Patrick MacNee, Robert Culp, and Barbara Bain as spies in another. Those stunt casting episodes were really special to me. I had so much fun working with the TV icons of my youth. Every day on that show was a TV writer’s dream for me…one I am re-living now through the boxed set DVD. 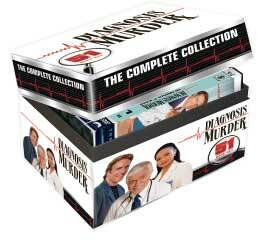 But my association with “Diagnosis Murder” didn’t end there when I left the show at the end of season six. Once the series was cancelled, Penguin/Putnam asked me to write a series of original “Diagnosis Murder” novels. I wrote eight books in the series, culminating with “The Last Word,” the finale that Bill and I always had in mind, but never shot, for the TV show. 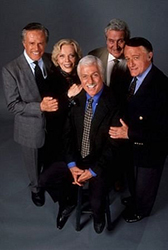 I am so thrilled that the entire “Diagnosis Murder” series is now available on DVD for long-time fans and a new generation of viewers to see. The show has never looked better than it does on these DVDs. I hope you will enjoy them as much as I do!